This article first appeared in The Edge Financial Daily, on November 20, 2015. 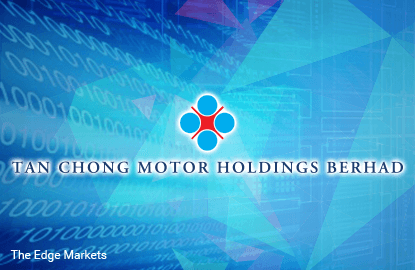 Tan Chong (Fundamental: 0.55/3, Valuation: 1.4/3) triggered our momentum algorithm for the first time yesterday, rising 1.4% to close at RM2.92 after announcing its 3Q2015 earning results. For 3Q2015, net profit surged more than 15-fold y-y to RM29.2 million on the back of a 19.5% revenue growth to RM1.4 billion. For 9M2015, revenue rose 20.3% to RM4.2 billion, boosted by higher sales of vehicles during the sales promotion campaigns. However, the aggressive promotion and unfavourable foreign exchange rate has affected its profit margins, causing net profit to drop 28.3% to RM69.7 million. Tan Chong is primarily involved in the assembly and marketing of motor vehicles, manufacturing of auto parts as well as provision of after-sales services. The company has paid dividends consistently, since 1999. 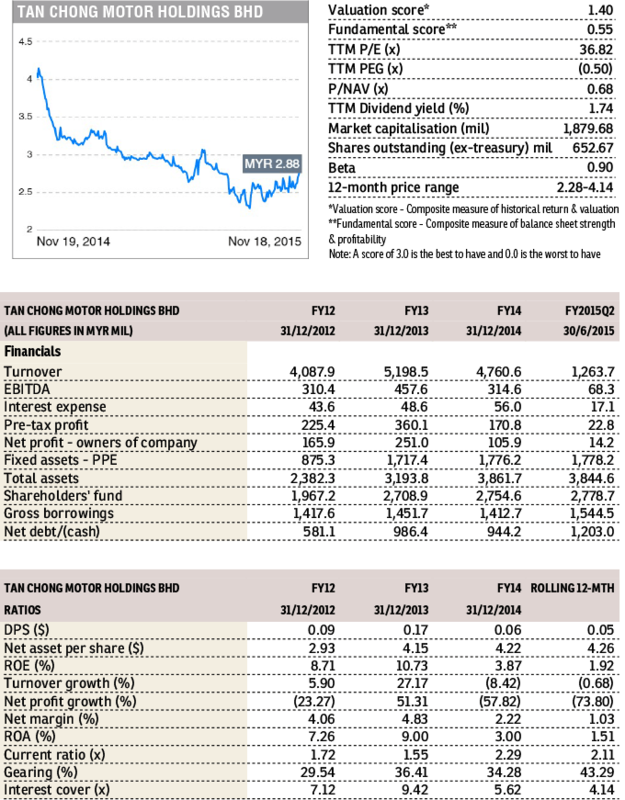 Dividends totalled 6 sen per share for 2014, giving a net yield of 2.0%. For 2015, so far, it has paid an interim dividend of 2 sen in September.